Radishes are overlooked often at market because folks simply know one way to eat them- sliced in salads, but today I’ve got a recipe for braised radishes. Did you know that radishes are rich in folic acid and Vitamin C . These nutrients make it a very effective cancer-fighting food. It is said that radish is effective in fighting oral cancer, colon cancer and intestinal cancer as well as kidney and stomach cancers. More reason to stock up on this nutritious vegetable at your next shopping trip to the market. Place the radishes in a large skillet and add just enough cold water to cover, about 1 1/2 cups. Add the butter, sugar, salt, and pepper and bring to a boil. Reduce heat to medium-low and simmer until the radishes are tender when pricked with a paring knife and the liquid has reduced to a glaze, about 12 minutes. So the next time you take a stroll through a farmers market, pick up an extra bunch of radishes for a powerful nutritious punch! 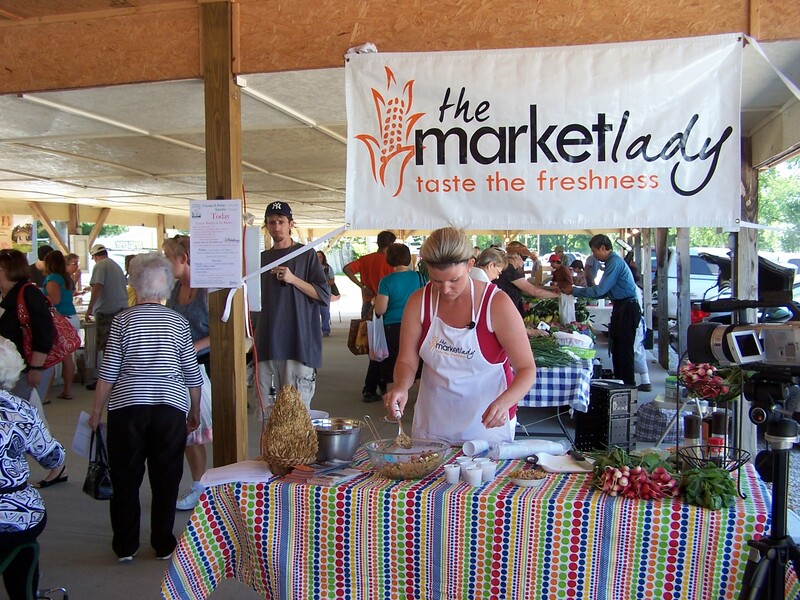 I’m Lane McConnell, The Market Lady, taste the freshness and visit a farmers market today. I love doing this–and I also chop & toss in the radish tops at the end!